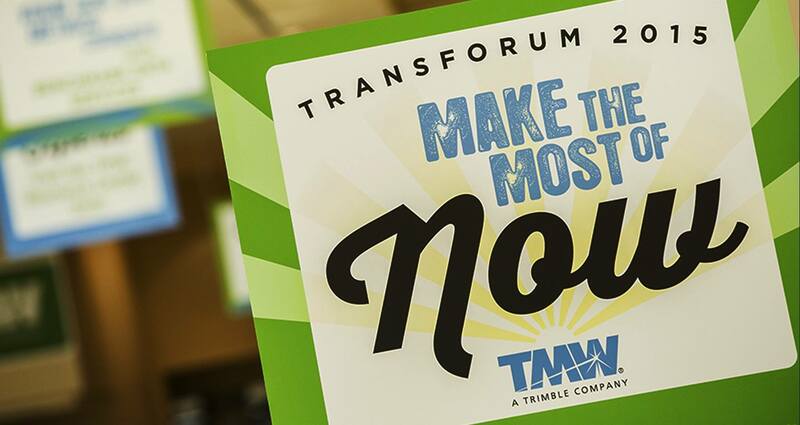 This month’s TMW Transforum 2015 User Conference was a busy affair. With over 1,700 attendees, a technology hub, a software demonstration center and an abundance of information sessions, there was much to do at this year`s show. In addition to tutorials about the latest and greatest features available with TMW’s Transportation Management Solutions (TMS), TMW made a point to bring in many industry experts to discuss some industry trends. 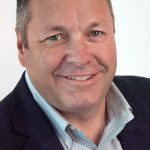 Transportation futurist Simon Anderson, founder of Venture Foresight, LLC, provided his view of trends that are transforming the North American trucking market and how companies can use these to their advantage. From generational trends like the rise of millennials and Digital Natives to the Internet of Thing (IoT) and self-driving cars and drones, there are a lot of changes coming in the next 20 years. 1. Focus on the hardware, software, data AND analytics offered by the solution. You need a proven solution that checks all these boxes. 2. Prices are declining and there are more payment options. No upfront hardware costs are an attractive option for many. 3. Mobile apps are important for drivers. Apps allow drivers to find trailers without having to walk the yard. 4. Sensors are vital. Whether you prefer cargo or door sensors, they help you identify whether the trailer is empty or full and when you can get your asset back on the road. 5. The ability to demonstrate ROI is key. From increasing the number of trailer turns, automating yard checks, managing detention times, decreasing the number of incidents where the wrong trailer was picked up, reducing idle days and right-sizing the fleet, be clear of where you would like to see ROI and measure the improvement. You may also find savings in unexpected places. 6. Don`t forget about preventative maintenance. Scheduling maintenance based on mileage and not days can have a huge impact. 7. Look at your trailer tracking provider as a technology partner, not just as a supplier. The right company will walk with you every step of the way, helping you to drive ROI and innovate. The technology hub was a busy place and great venue for us to discuss our recent integration with TMW’s software. ORBCOMM’s trailer tracking solutions are now integrated with TruckMate® and TMWSuite® and offer trucking companies the ability to capture valuable data, including temperature, mileage, fuel levels and GPS position from their TMW interface. TMW Systems and ORBCOMM Integration from ORBCOMM Inc.
A big thank you to the TMW team for hosting a great event and providing an excellent networking opportunity! We look forward to our continued partnership. To learn about how you can integrate trailer tracking into your dispatch software to decrease trailer dwell times, ensure temperature compliance and so much more, visit www.orbcomm.com/tmw.